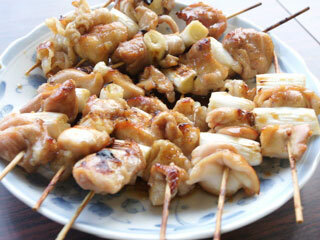 Yakitori (焼き鳥) is one of the most popular Izakaya food. It is skewered grilled chicken. There are mostly two kinds of flavor: Tare and Shio. Tare is soy sauce based flavor, and Shio is simple salt flavor. Here MLJ will introduce how to cook Yakitori with Tare.